When reflecting on Sheffield Doc/Fest, it is common to alight upon a recurring theme – a leitmotif that punctuates the festival’s always-diverse composition.i In 2015, it was the turn of subjectivity and the agency of the director; or, put another way, the extent to which directors implicate themselves in their films, physically and otherwise. We are interested in the classificationsiii of film that consider the filmmaker as a subject, both in front of and behind the camera; that is, the styles of film that ‘endeavour to articulate rather than occlude or suppress the position of the filmmaker’.iv Such modes include, but are not limited to, the self-portrait film, the essay film, the video diary, the first-person film, the self-portrait, and the autobiography. In June, on The Film Programme on BBC Radio 4, John Akomfrah suggested, as many have before him, that documentarists attempt to hold a mirror up to their subjects and, ideally, get them to ‘speak or act out what they see in that mirror’. The question we’re interested in, here, is whether filmmakers are capable of holding such a mirror up to themselves? If one takes Good Girl (2014), a documentary by Norwegian filmmaker Solveig Melkeraaen, which screened as part of Doc/Fest’s Ideas and Science strand this year, I believe the answer is yes. Ostensibly a self-portrait film, Good Girl sees the filmmaker literally turn the camera on herself as she recovers from, relapses into and receives treatment for debilitating bouts of depression. The film is personal, at times shocking and disinclined to have a ‘message’ – which is commendable given the film features electroconvulsive therapy (ECT): a divisive, ill-understood, but often effective treatment for the most severe cases of depression. What is most interesting about Good Girl is the way Melkeraaen attempts to articulate herself and her feelings. She delivers her thoughts through absurdist imagery. In what might be described as a view of her subconscious, or perhaps an attempt to purge her demons, she uses oneiric, Jodorowskyesque scenes (see trailer here) to bring her thoughts to life. We see her stand atop a spinning platform dressed as a ballerina, struggling to keep her arms in the ‘fifth position’; we see her chased across an empty swimming pool (interpretable as an oversized shower basin, which Melkeraaen collapsed in during an episode of severe anxiety) by a malevolent floating toothbrush; and we see her interviewed on a surreal TV chat show, called ‘Electro-Sol’ by the host and laughed at by the audience. In many of these ‘interludes’ she is overlooked by a dark self, a version of Melkeraaen that embodies the pressure she puts on herself to be a ‘good girl’. In the end, the inevitable happens: she falls from the podium – perhaps representing the considerable height of success that Melkeraaen saw as a young filmmaker – into a very-real pool of depression. Although seemingly bizarre, within the context of self-portrait films Melkeraaen’s experimentations are quite natural. Laura Rascaroli has put together a sizeable list of self-portrait films in her book The personal camera: Subjective Cinema and the Essay film, and although the films include a wide variety of formats, style, length and technical specification, she notes that they are all decidedly experimental. Rascaroli suggests this is because of the high level of personal content and the affinity for research that self-portraiture requires. The portrayal of an individual necessarily begets an individualistic, modern, avant-garde film. Rascaroli also sees ‘self-portrait [as] a contradictory genre, which merges the most intimate artistic gesture with the most public display of image-management’.v In Good Girl, we see this manifest in the balance between self-examination and self-expression: how Melkeraaen appears to delve deep into her fears (of failure, commitment, childhood and success), whilst choosing to depict them in washed-out, candy-coloured vignettes, which are as humourous as they are revealing. At least two films at Doc/Fest illustrated this. The first film came up in a session, I think ironically, titled ‘Death to the Selfie or Why It’s Better to Share an Image of an Owl or One’s Cat’, when Ulrike Kubatta mentioned her film She Should Have Gone To The Moon: a ‘portrait of the American pilot Jerri Truhill … who, as part of the Mercury 13, became one of the first women trained by NASA to go into space’. vii During the session, Kubatta informed us that she shot fictional scenes of Truhill as a ‘young’ pilot, and that she cast herself in the role (as can be seen here). The imagery makes for a compelling opening scene. Overlaying the desert imagery, Kubatta is heard interviewing Truhill over the phone, commenting at one point that she is ‘quite in awe’ of the former pilot, suggesting to us that the decision to imitate Truhill was personal – borne out of an emotional investment in Truhill’s story. It is irrelevant to the narrative that the helmeted woman in these shots is Kubatta, but it seems unlikely that such imagery – stylistically disparate from the classic voiceover-with-archive-footage-and talking-head mixture that the film segues into – coincidentally features the filmmaker. In documentary, it is possible to portray an idealised (or bastardised) version of oneself. This can be a subtle, even subconscious, act on the part of the filmmaker, or it can be more explicit. There are striking examples of directors not so discreetly insinuating themselves into their films. Laura Rascaroli sees this in Michelangelo Antonioni’s last film, The Gaze of Michelangelo (Lo sguardo di Michelangelo), ‘a deceptively simple nonfiction, in which the director goes to San Pietro in Vincoli to admire Moses and the other statues’ of Michelangelo.viii She believes the short 17-minute film can be read in many ways, but argues that it is primarily a self-portrait of Antonioni. At one point, the filmmaker presents, through the use of digital technologies, ‘self-fashioned’ images of himself walking – most memorably, away from the camera in the closing scene as he ’simultaneously [leaves] art, the cinema, his audience and life’ix – which is miraculous given that Antonioni was wheelchair bound since 1985 as the result of a stroke. The second film at Doc/Fest to show a disregard for ‘objectivity’ was Brett Morgen’s film Cobain: Montage of Heck. Interestingly, even though there is copious extant footage of Cobain, the most intimate, nuanced and revealing scenes in the film are animated. In one particular seven-minute montage we hear Kurt singing, playing guitar, experimenting with sound effects and picking up his girlfriend’s house phone whilst she’s at work. By pulling together this soundscape of hums, crashes, riffs and whines of Cobain (from hours of audiotapes that Morgen found in Cobain’s personal and family archives) and complementing them with an approximation of their original context (i.e. the imagined visuals of artist Hisko Hulsing), a wholly original and moving portrayal of the Cobain is produced. Generally, the distinction between closeness to life and authenticity on the one hand and stylisation and partiality on the other is agreed moot. When discussing how his aesthetic choices affected authenticity in Montage of Heck, Morgen quipped: ‘I think we are beyond objectivity and subjectivity’. On a related note, the refrain of the Doc/Fest Q&A sessions this year seemed to be ownership and the question, ‘whose film is this?’ – something that often elicits ire in the eyes of filmmakers, probably because it undermines their agency and insinuates that they are instruments through which their subjects’ stories flow. Some filmmakers were more reticent than others in their response. Brett Morgen, with a hint of indignation in his voice, was clear: ‘Mine … this is my film’. i Notwithstanding the Baader-Meinhof phenomenon. ii Lebow, Alisa (2012) Introduction. In: The Cinema of Me: The Self and Subjectivity in First person Documentary. New York and Chichester: Columbia University Press, p. 2.
iii It should be noted that no one cited in this text strictly ascribes to these classifications: they are related modes of documentary that are not universally defined or categorised. iv Lebow, Alisa (2012) Introduction, p. 2.
v Rascaroli, Laura (2009) The Self-Portrait Film: Michelangelo’s Last gGaze. 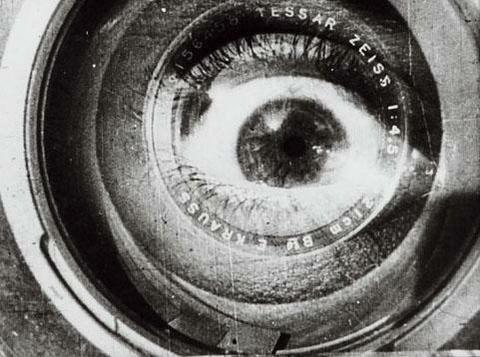 In: The Personal Camera: Subjective Cinema and the Essay Film. London: Wallflower Press, p. 175.
vi Renov, Michael (2004) Surveying the Subject: An Introduction. In: The Subject of the Documentary. Minneapolis and London: University of Minnesota Press. Quoted in Rascaroli, Laura (2009). vii See: http://sheshouldhavegonetothemoon.com (accessed June 2015). viii Rascaroli, Laura (2009) The Self-Portrait Film: Michelangelo’s Last Gaze, p. 177.
x Antonioni, Michelangelo (1994) Fare un film è per me vivere: scritti sul cinema. Venice: Marsilio, p. 57. Translation by Laura Rascaroli.